Thefirst three patients are described in more detail below (Chang etal., 1973a, 1973b), to followed by the other adult patients (Chang 1975g, 1976c, 1980e) and then the pediatric patient. Case 1. A 50-year-old female, previously treated for depression, was admitted consequent upon her taking several drugs. She was comatose and her blood pressure was 90/60, pulse 80/min and regular, respiration 12/min and temperature, 98.4°F. Her corneal reflexes were absent. She was treated by intubation followed by gastric lavage containing activated charcoal. Heparin, 5000 units IV q4h, was started since pulmonary embolism was suspected. Four hours later two cardiac arrests occurred and were reversed with cardiac massage and direct current electroshock. A subsequent chest X-ray showed fracture of four ribs. Ventilatory assistance was required. Ten hours after admission her blood pressure could not be determined by auscultation. At this time her blood methyprylon level was 9.4 mg/dl and six hours later it was 9.6 mg/dl. Direct measurement of arterial blood pressure from the AV shunt gave a systolic pressure of 80 mm Hg. Fig. 10.6. Clinical and laboratory results of hemoperfusion in a patient with severe suicidal methryprylon overdose. and the pressure remained at 130-150mmHg throughout the 3h of hemoperfusion. The initial arterial blood methyprylon level was 9.6 mg/dl. Hemoperfusion for 2 h lowered this to 4.1 mg/dl, i.e. below the dangerous level of 6 mg/dl (Fig. 10.6). An initial clearance of 250ml/min was obtained. As a result, the recovery was dramatic and straightforward. For example, voluntary respiration became more regular and increased to 40/min, with tidal volume increasing to 325 ml during hemoperfusion. Corneal reflexes and voluntary eye opening and blinking returned and response to painful stimuli appeared. Limb movements were detected 27 h after admission and 4h later, the patient responded to verbal commands. She no longer required ventilatory assistance and started talking 4h later. Fig. 10.7. Clinical and laboratory results of hemoperfusion in a patient with severe suicidal glutethimide overdose. pressure 90/50, and she still required isoproterenol and ventilatory support. At that time, she had clinical and X-ray signs of bilateral bronchopneumonia. Her blood glutethimide level was 7mg/dl. At 27 h after admission, she was referred to me. She was treated by hemoperfusion with 300g of the ACAC microcapsules for 2 h. In the course of the hemoperfusion, her blood pressure rose from 90/50 to 120/80 in 30 min without isoproterenol infusion. Her blood glutethimide level fell to 3mg/dl, but 10 h after completion of the hemoperfusion, it rose to 5mg/dl (Fig. 10.7). Except for a very slight pupillary reflex and gag reflex, she remained comatose. Her blood pressure was 110/55. 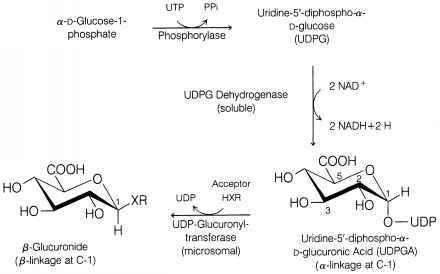 Since glutethimide has a high lipid coefficient, a large part of the drug accumulated in the lipoid tissue. The rebound in its level after hemoperfusion likely reflects a redistribution of glutethimide from the lipoid tissue to the bloodstream. A second hemoperfusion with another 300 g of ACAC microcapsules was carried out. Within 1 h, a 2+ patellar reflex and a slight plantar reflex were elicited. After 1/2 h of hemoperfusion, her tidal volume increased from 250ml (pretreatment) to 475 ml. In addition, she exhibited some spontaneous limb movements. Her blood pressure increased to 130/75. The posthemoperfusion blood glutethimide level was 1.5mg/dl (Fig. 10.6). Two hours after completion of the second hemoperfusion, she no longer required ventilatory support. She was up and about the following day. Case 3. A 27-year-old male was admitted consequent upon his ingesting a mixture of medications. He was comatose and unresponsive to painful stimuli and required ventilatory assistance. He also showed signs of methaqualone intoxication: tonic convulsions, hypotension, cardiac failure, myoclonia, bleeding tendency, and hypothermia. Gastric lavage was carried out and forced diuresis started. Eight hours after admission, his blood methyprylon level was 18.3 mg/dl, 3 times the "dangerous" level of 6 mg/dl. A 60-min ACAC hemoperfusion was carried out at a blood flow rate of 300 ml/min. The methyprylon level fell to 12.9 mg/dl after the 60-min treatment and by 32 h after admission, it was 9.0 mg/dl having been lowered from three times the dangerous level to just below the dangerous level. Despite this, there was no marked immediate improvement in the patient's clinical condition. At that time, the laboratory result showed that he also had a methaqualone level of 6.5 mg/dl, a level which is more than twice the dangerous level of 2.5 mg/dl. A second ACAC hemoperfusion was given over a period of 2 h with a blood flow rate of 300 ml/min.The methyprylon and methaqualone level fell to 1.8 mg/dl and 2.7 mg/dl, respectively. By 48 h his pupils reacted sluggishly to light, and the gag reflex, deep pain response and bowel sounds were present. At 96 h his breathing was independent; all reflexes became normal. By 130 h after admission, he was oriented, rational and up and about. Case 4. This patient was admitted comatose, areflexic, with fixed dilated pupils, and requiring respiratory assist and pressor drug to maintain her blood pressure. She had taken a large mixture of drugs, including glutethimide, thioridazine, salicylate, phenobarbital, and tetracycline, in addition to a large intake of alcohol. She was hemodialyzed three times in the first 48 h with no change in her condition. She was hemoperfused for 1-1/2 h with 300 g of ACAC, followed immediately by another 300g of ACAC hemoperfusion column for 1 h. With this hemoperfusion, her corneal reflex returned and her blood pressure could be maintained without pressor drug. In the next 2 days, she was treated by two hemodialyses but without any changes in her clinical condition. A third hemoperfusion was carried out 10 h after the last hemodialysis. With this hemoperfusion, gag reflex and cough reflex returned and there was occasional spontaneous breathing. This was followed by a fourth hemoperfusion after which spontaneous breathing returned. The following day, she was responsive and following this, she recovered and was up and about. Her phenobarbital level was 20 mg% on admission. Clearance obtained was 228.6 mL/min. Her glutethimide level on admission was 22.62 mg/dl. Clearance obtained was 251 mL/min. Case 5. A 79-year-old patient was admitted with a history of ingestion of phenobarbital with a blood level of 30mg%. The patient was comatose, areflexic, and required ventilatory assist when hemoperfusion was carried out. With 2 h of hemoperfusion, pupil reflex, corneal reflex, and patellar reflex returned. Later, the patient started to trigger the respirator, had spontaneous movement and recovered shortly after this. Clearance obtained for hemoperfusion at a blood flow rate of 200 mL/min was 188 mL/min. Case 6. This patient was admitted with grade IV coma due to phenobarbital intoxication. The patient received ACAC hemoperfusion at 180-200 mL/min blood flow rate. The clearance was 162 mL/min. Hemoperfusion resulted in recovery of the patient. Case 7. This 21-year-old patient was admitted with a history of ingestion of glutethimide and phenobarbital. She was admitted with grade IV coma. There was X-ray evidence of right upper lobe atelectasis and right lower lobe consolidation. One 2 h hemoperfusion resulted in improvement of the patient and complete recovery and discharge subsequently. Case 8. This 22-year-old man was admitted with a history of overdose of salicylate and sodium bromide. The salicylate level was 52.85 mg% when hemoperfusion was started. The clearance obtained at the flow rate of 300mL/min was 165.9 mL/min. Hemoperfusion of 2 h lowered the systemic salicylate level to 37.76mg%. 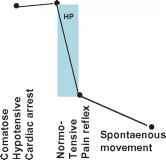 At initiation of hemoperfusion, the patient was in grade II coma responding to painful stimuli. After 1 h of hemoperfusion, the patient recovered consciousness, complained of thirst and hunger, wanted to get up and was also carrying on a conversation. He recovered after this. Case 9.This 51-year-old patient had taken an overdose of methyprylon. The patient was comatose, areflexic, hypotensive, and needed ventilatory assistance. He received 2 h of hemoperfusion with ACAC hemoperfusion at a blood flow rate of 160 mL/min. Two hours after hemoperfusion was started there was bilateral patellar reflex 2+, ankle reflex 2+, light reflex, and some voluntary movement. Shortly afterwards ventilatory assistance was not required and he recovered shortly after this. Case 10. This 30-year-old patient was admitted with a history of having taken phencyclidine. Phencyclidine was qualitatively demonstrated in the blood and urine of the patient. The patient was comatose, areflexic, hypotensive, and a 2 h ACAC hemoperfusion was carried out. After the hemoperfusion, the patient still remained comatose. Three days later the patient was off the respiratory and started to have voluntary movements and then recovered after this. It is not possible to measure the phencyclidine level quantitatively, in order to calculate clearance or changes in level because the method available at that time could only give a qualitative assessment of the presence of phencyclidine in the blood and urine. the beginning, the patient was comatose with no reflexes. After 1 h of hemoperfusion, there was 2+ achilles tendon reflex. And 2 h after hemoperfusion, both patellar achilles reflexes were present. Two days later he recovered completely and was transferred out of the intensive care unit. This hemoperfusion was carried out with the Hemosorba system and the clearance obtained was 200 mL/min.